The Carboniferous is awesome, but I am sure you havn’t heard of it. 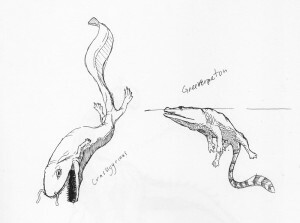 This entry was posted in Scanned Desksketch and tagged amphibian, Carboniferous, paleoart by Anthony. Bookmark the permalink.